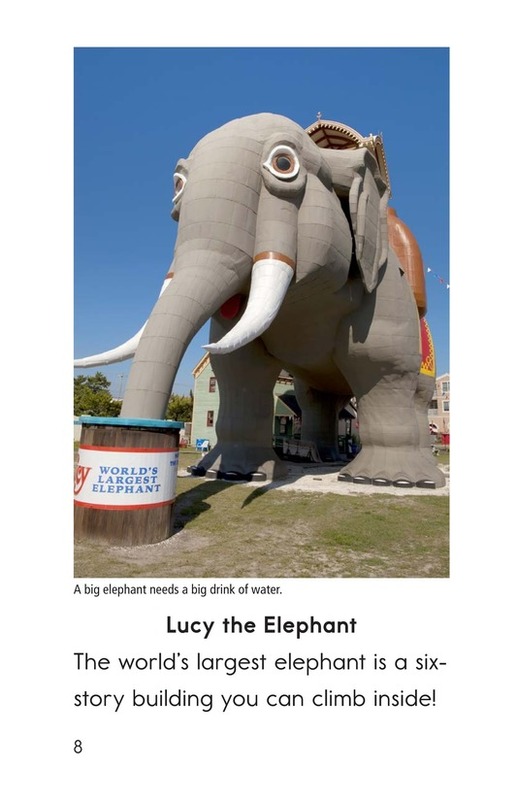 Do you know where to find the world's largest elephant? 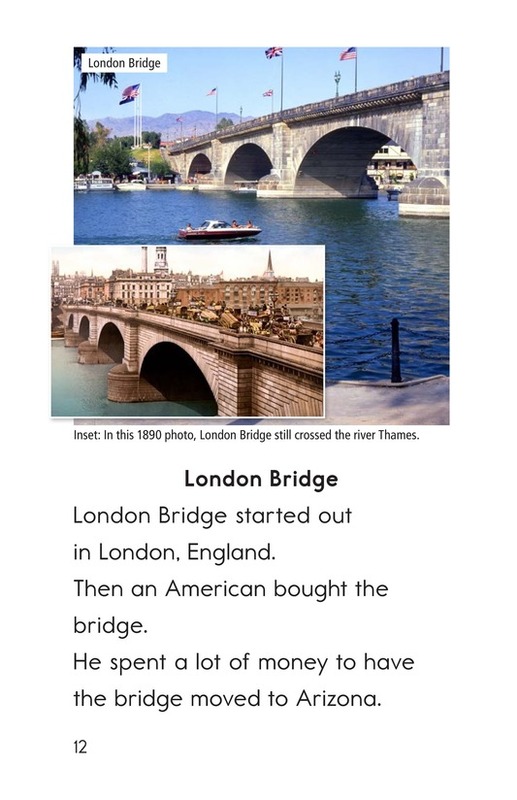 Did you know London Bridge was moved to Arizona? 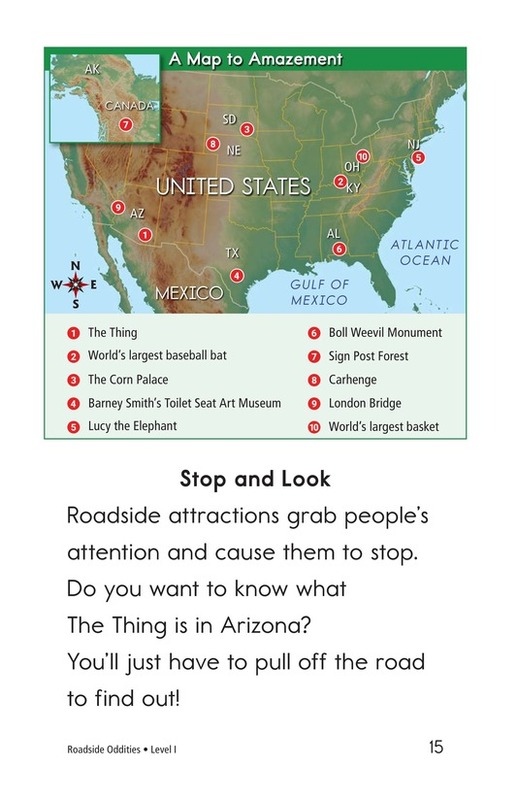 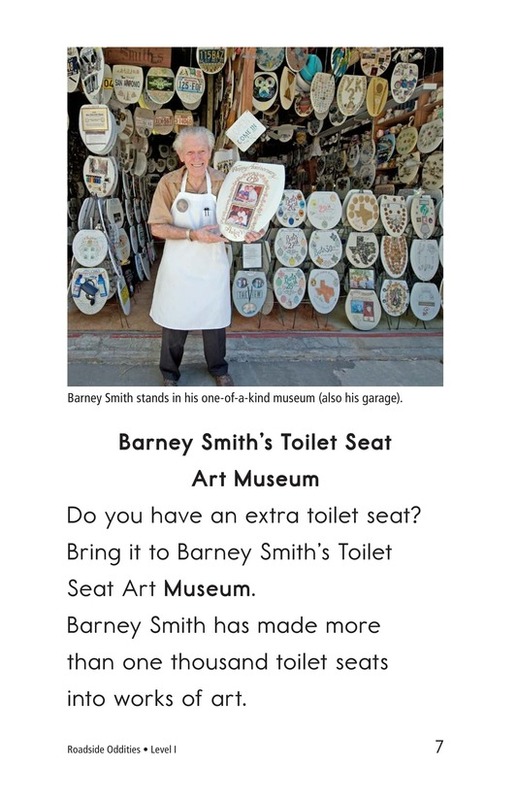 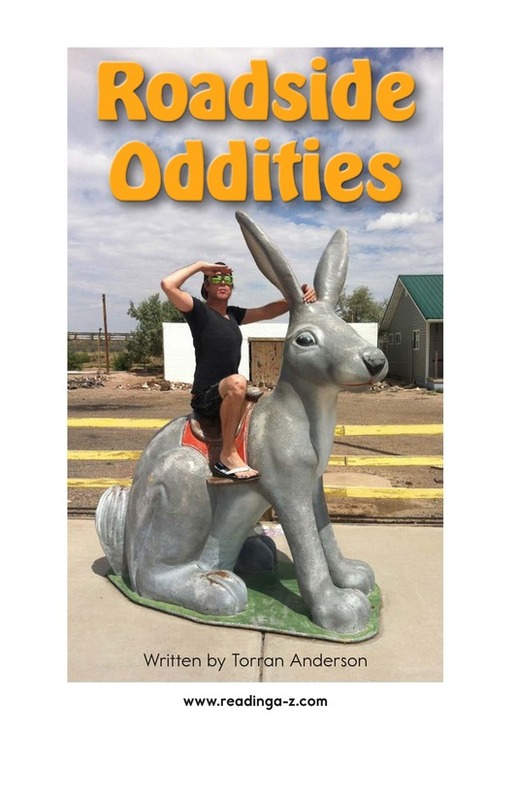 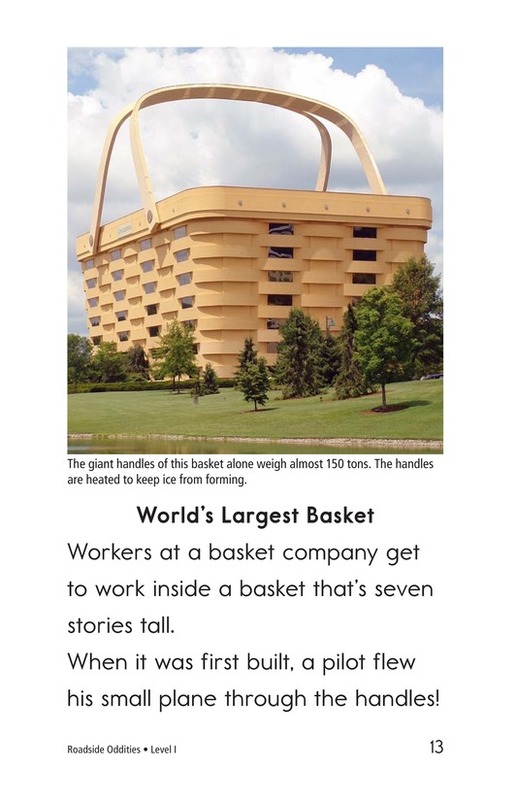 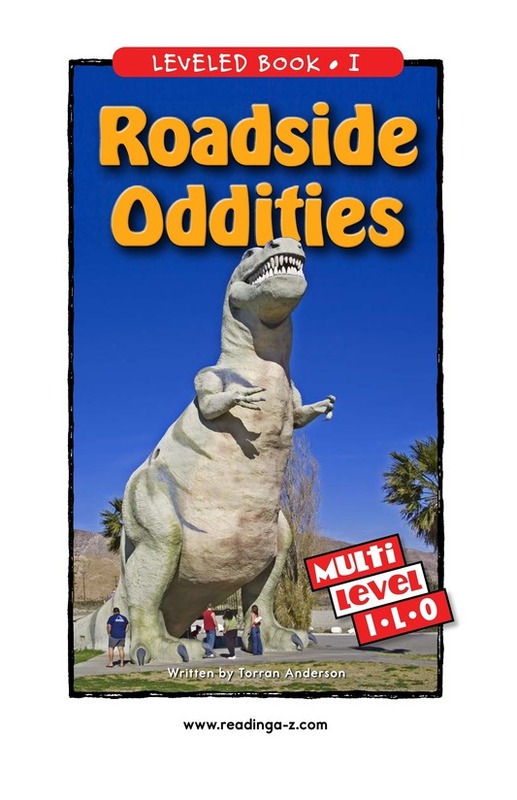 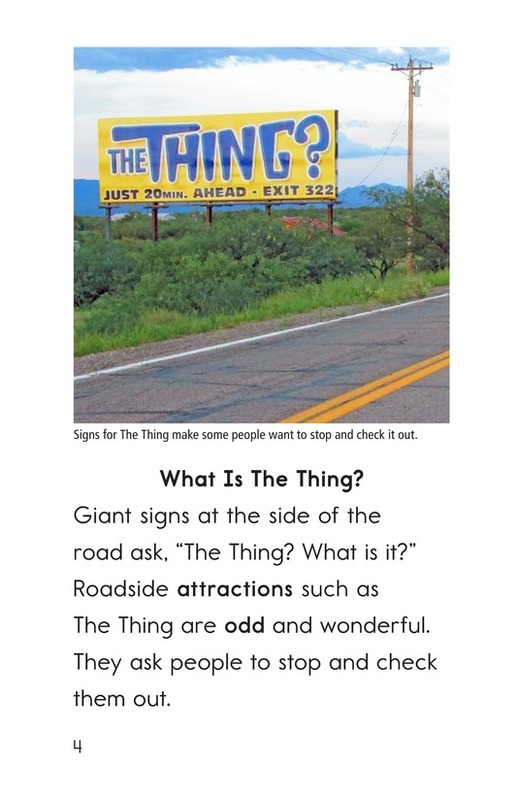 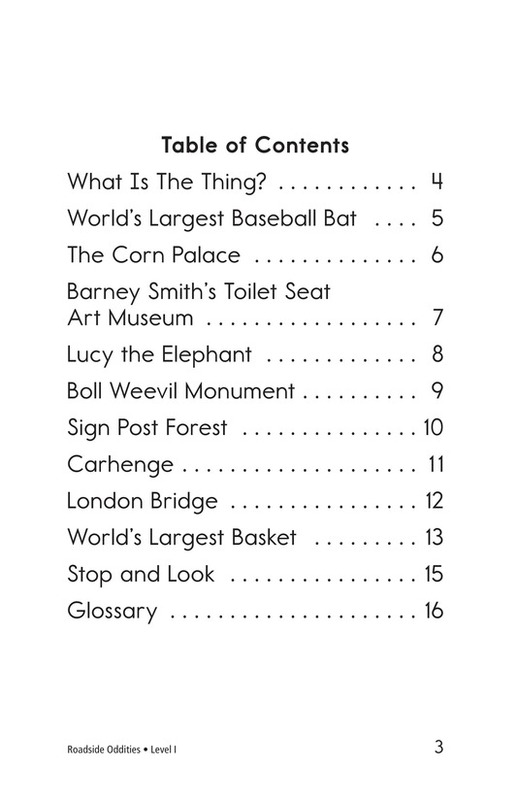 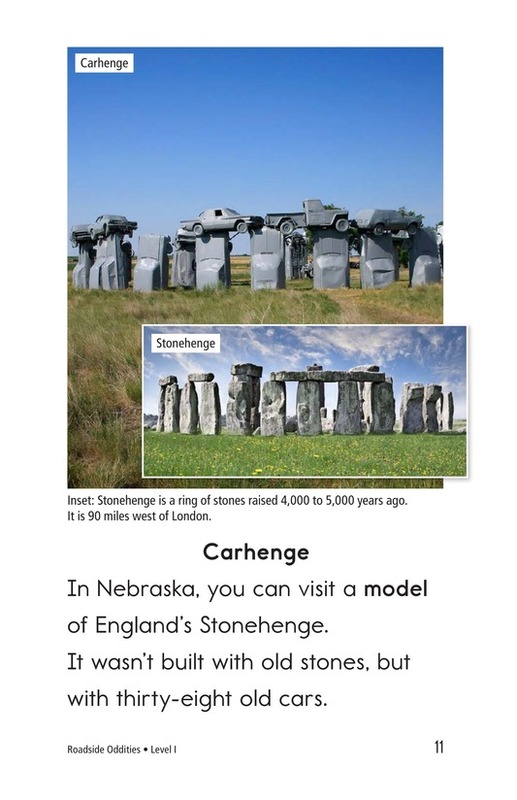 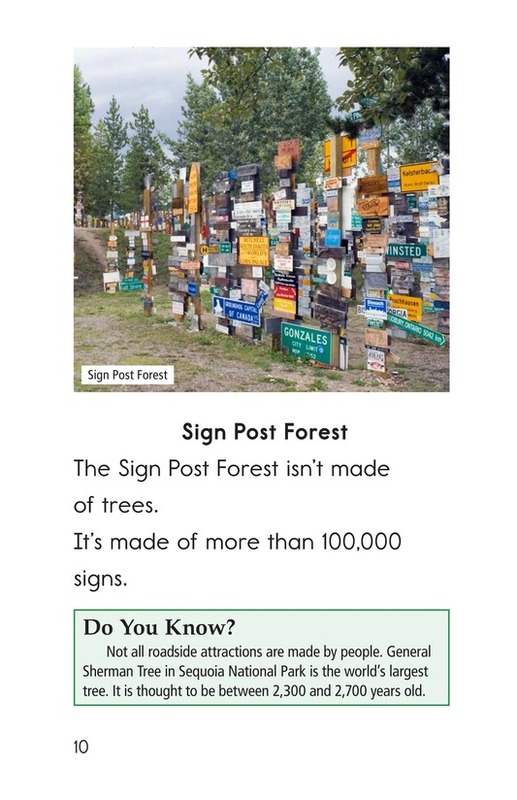 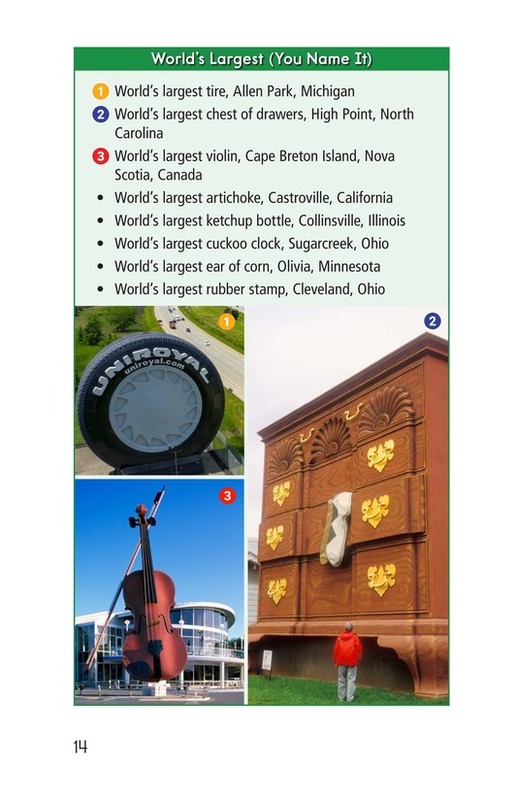 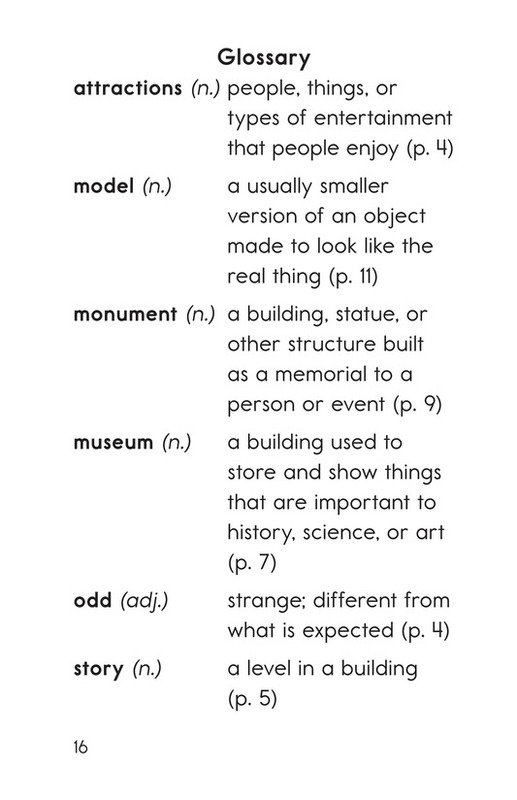 Roadside Oddities is an informative book that introduces readers to some weird and wonderful roadside attractions. 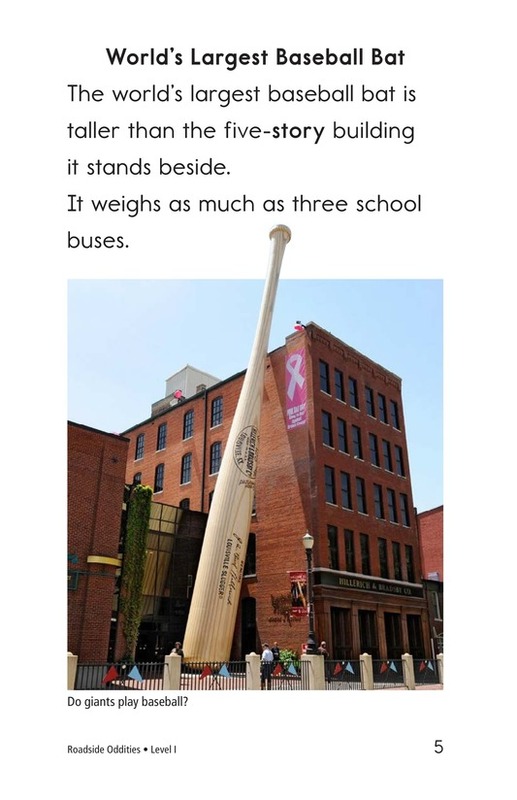 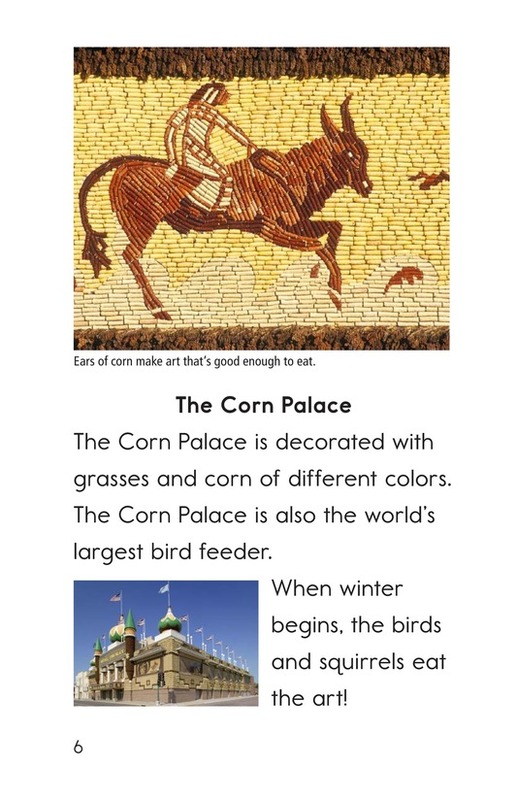 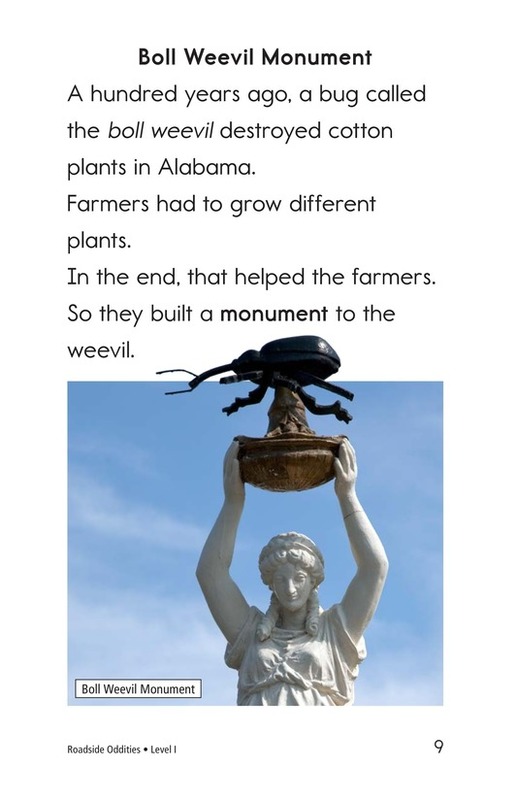 Detailed photographs support the engaging text filled with entertaining facts. 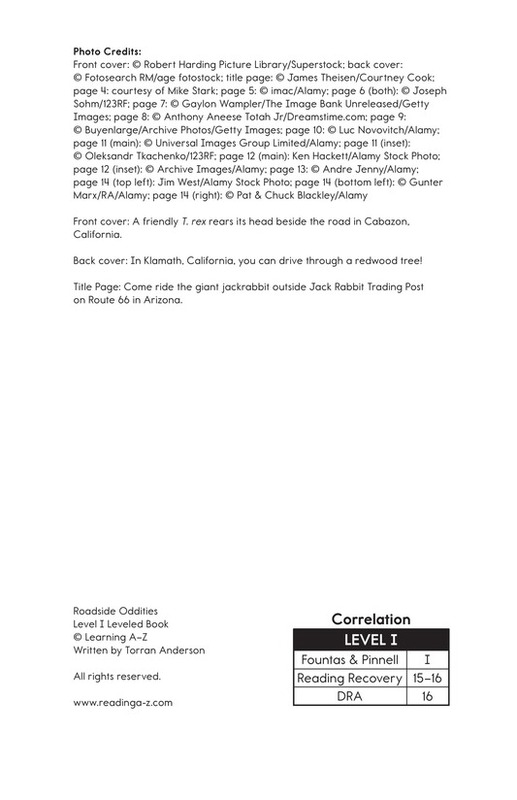 Book and lesson also available at levels L and O.